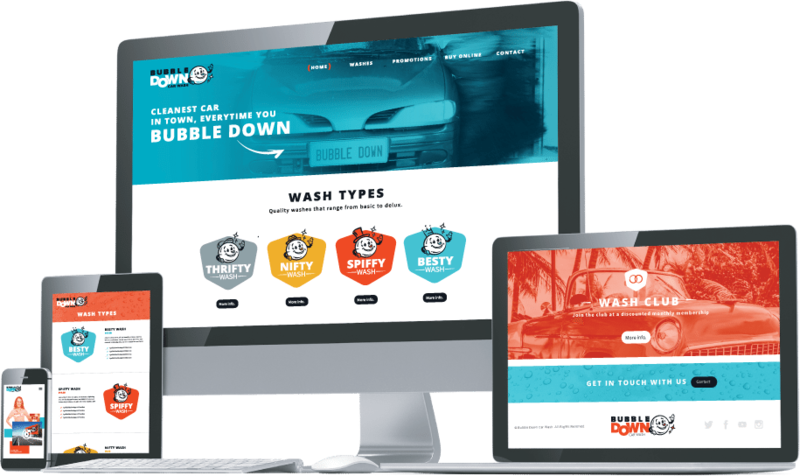 You create an awesome wash.
we create an outstanding brand. 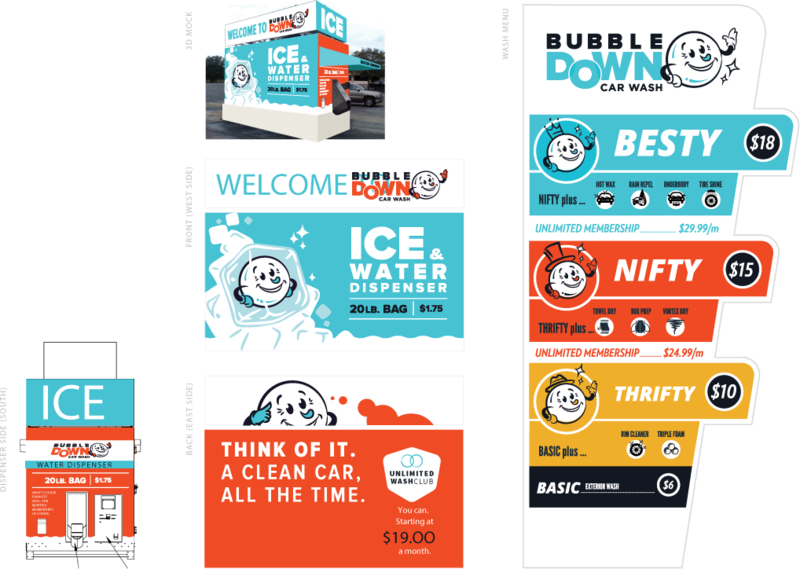 Building a unique and engaging brand from the ground up is exactly what we did for Bubble Down Car Wash.
your location, your target markets, and your vision. Then we let our creative geniuses wor k their magic. For Bubble Down we carried the brand's retro feel to every piece of onsite signage to give customers a seamless brand experience. Machine into a branded work of art.